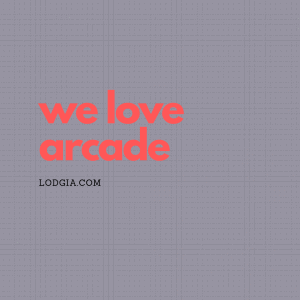 Space Invaders is a two-dimensional shooter game in which the player controls a laser cannon by moving it horizontally across the bottom of the screen and firing at descending aliens. The aim is to defeat five rows of eleven aliens—some versions feature different numbers—that move horizontally back and forth across the screen as they advance toward the bottom of the screen. The player defeats an alien, and earns points, by shooting it with the laser cannon. As more aliens are defeated, the aliens’ movement and the game’s music both speed up. Defeating the aliens brings another wave that is more difficult, a loop which can continue without end. The aliens attempt to destroy the cannon by firing at it while they approach the bottom of the screen. If they reach the bottom, the alien invasion is successful and the game ends. A special “mystery ship” will occasionally move across the top of the screen and award bonus points if destroyed. The laser cannon is partially protected by several stationary defense bunkers—the number varies by version—that are gradually destroyed by numerous blasts from the aliens or player. A game will also end if the player’s last laser base is destroyed. Space Invaders was created by Tomohiro Nishikado, who spent a year designing the game and developing the necessary hardware to produce it. 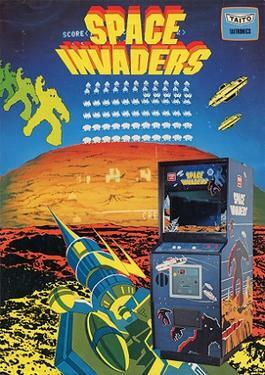 The game’s inspiration is reported to have come from varying sources, including an adaptation of the mechanical game Space Monsters released by Taito in 1972, and a dream about Japanese school children who are waiting for Santa Claus and are attacked by invading aliens.However, Nishikado has cited Atari’s arcade game Breakout as his inspiration. He aimed to create a shooting game that featured the same sense of achievement from completing stages and destroying targets, but with more complex graphics. Nishikado used a similar layout to that of Breakout but altered the game mechanics. Rather than bounce a ball to attack static objects, players are given the ability to fire projectiles at their own discretion to attack moving enemies. Early enemy designs included tanks, combat planes, and battleships.Nishikado, however, was not satisfied with the enemy movements; technical limitations made it difficult to simulate flying.Humans would have been easier to simulate, but Nishikado considered shooting them immoral. After the release of the anime Space Battleship Yamato in Japan, and after seeing a magazine feature about Star Wars, he thought of using a space theme. Nishikado drew inspiration for the aliens from H. G. Wells’ The War of the Worlds and created initial bitmap images after the octopus-like aliens. Other alien designs were modeled after squids and crabs.The game was originally titled Space Monsters, inspired by a popular song in Japan at the time (“Monster”), but was changed to Space Invaders by Nishikado’s superiors.